An impressive Civil War traveling exhibit on display in a vacant building on the Court House square has ended its five week visit to Farmington. 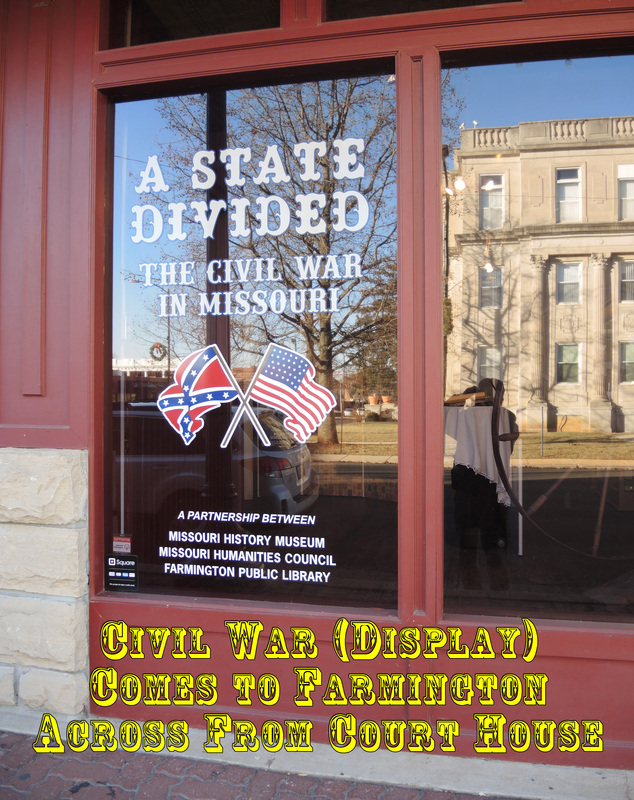 The exhibit, a joint venture of the Missouri History Museum, the Missouri Humanities Council, and the Farmington Public Library, featured large informational panels, historic photos, and physical items that told the story of Civil War activities in Missouri. In addition, our local library was able to acquire for the exhibit a variety of Civil War items from local residents to be included in the displays. In case you missed this historical treat, the Post(note)-Dispatch has compiled a photos essay featuring many of the items that were seen at the exhibit.